The Cocoa Side/End Tables is a set of two Side/End Tables; a larger size and a smaller size. 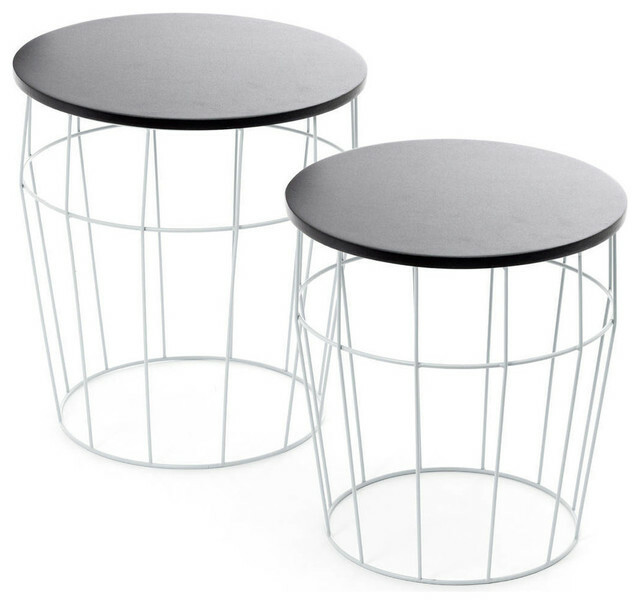 They are crafted from PVC-coated wire, with a smooth powder-coated wooden table top. These Side/End Tables feature a minimalist design and a sturdy build. Kayoom is a German design firm that creates rugs in a variety of colours and styles for both contemporary and classic homes. Kayoom creates home decor and furniture of exceptional quality that stylishly accentuates the contemporary home.